We can’t believe we had so much fun in the last 7 days, Day 8 was our last day and honestly we were sad that our trip was now ending. We kept our vacation exciting and kid friendly at the same time. No our child is not a burden and our child does not come in between our enjoyment. We love to see our child discover new things and meeting new milestones or learning new stuff on the trip. Vacations are a happy and emotional ride for us. Our toddler learnt a few new words on the trip and has started understanding much more in one week with almost no tv and lots of fun. Day 8 was dedicated to our little queen. We checked out in the morning and went to the Butterfly Pavilion in Denver. 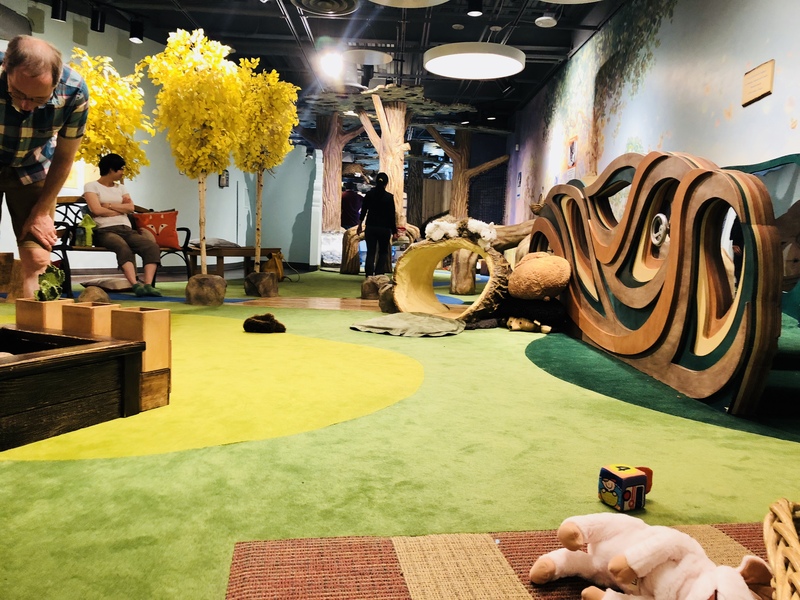 The place is really well made for kids of all ages. There were so many butterflies and other important information about the butterfly. We saw a bee mascot greeting the kids too. Unfortunately my toddler had mixed reactions here, she was happy and excited to see the butterflies but also terrified when a butterfly came near her. This is such a natural reaction from a kid, I being an adult get scared of a lot of things too lol. There were so many beautiful and different colors of butterflies. It was a lovely experience. Anyways this is a nice place to check and spend few hours at if you are in Denver and want to take your kids for a nice butterfly interaction and learning experience. Our flight was at 12:45 am so we had the whole day to spend in Denver and surrounding area. After spending a few hours in the Butterfly Pavilion in Denver we took our little one to the Children’s Museum of Denver. This is such a cute museum for kids of all ages. The area made for the infants is super cute and cool. My daughter enjoyed pretend play, she took her shopping basket and went straight for the cheese lol. There was an office, animal’s hospital, dentist area and lots more for kids to play and explore. The bubble area was pretty cool too. This Museum has lot of things to do for the little ones. My daughter Ayrah had a blast and as usual was very unhappy to leave the place after a few hours. After spending time at the museum we went for dinner and then returned the car and head to the airport. We left early for the airport and relaxed for 2 hours before our flight. To be honest i was really sad to leave but all vacations come to an end. The best part of any vacation is the memories we make and whom we make them with. For me the memories, the things my kid learnt on the trip, things she enjoyed the most will always be special. Thank you for reading my blog! If you like my posts please leave a comment or subscribe so you can stay updated.